Kelly Clarkson has revealed she’ll marry Brandon Blackstock in a few weeks in a small ceremony with his children. 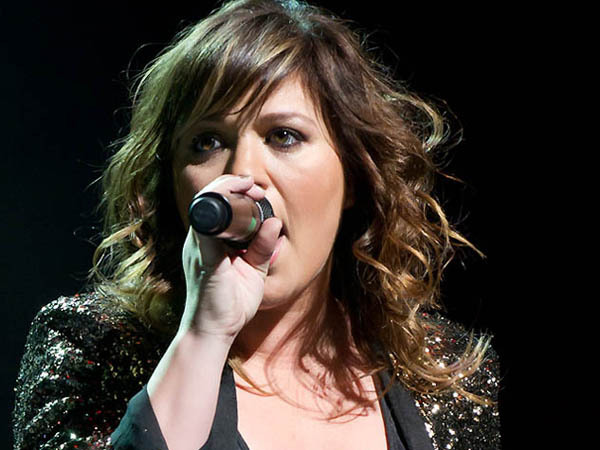 Kelly Clarkson can't wait to marry Brandon Blackstock in a few weeks. The Catch My Breath singer and her fiancé ? who has two children, Savannah and Seth, from a previous marriage ? are planning tie the knot in a small ceremony later this month and she’s hinted she hopes to get pregnant before the end of the year. The 31-year-old star told The View on Wednesday, "We just got off tour so in a couple of weeks we're just taking the kids and doing something really small. "He has two kids; he has a 12-year-old and a six-year-old, and they're awesome. I really lucked out on that." The couple are eloping after initially trying to plan a big wedding in Nashville, Tennessee. She said, "We started putting it together and we realised that weddings aren't for brides or grooms." The American Idol winner has no doubt Brandon is the man for her. She said, "He's great. He is the perfect guy for me. We actually grew up in the same small town, which is weird, but we didn't know each other." Kelly also revealed she can't wait to have children with Brandon even though she never wanted them before and also loves being a stepmother. She said, "I love it. They laugh at me. I love doing the homework; I love going to the games."